Well not much to know about me. I'm a fan of Inu yasha, like everyone here. Though I wasn't always a big fan of the Kagx Sessh pairing. A single spark changed that. Some of the first fics I read we're Second Chance and ForgetMeNot (yes, no spaces. By YokaiYume.) Check them out if you haven't already. I have some fics I'm working on. Not as good as most people's fics here, in my opinion, but it should be worth a laugh. Other series I like: Ouran High School Host Club, Trinity Blood (Worth seeing for Ian x Ester) , Hanazakari no Kimitachi E ( the Japanese drama version.... Was into Gundam Wing as well, love Duo. And Gundam 008 war in the pocket was good but really sad. ( 2 to 4 eps) And my guilty pleasure ( aka not sure why I keep reading ) is Zombie Loan.
" ... Cause I was made for chasing dreams. ~ Staind - "Believe"
Pint Sized! got nominated. O_O Holy cow, I never thought anything I wrote would actually be nominated. So... um thank you to everyone who nominated me. 50 Ways to Torture a Taiyoukai - "Bag of Fun" and "Sweets"
What happens when Kagome comes across a annoyed and very small Sesshoumaru? Chaos of course. 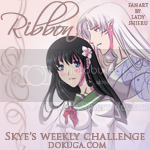 Kagome learns a lesson in drinking, after she finds herself signed up for fighting tournament to become a gaurd. Not just any guard, but as a guard of the west. Not to mention she signed up as a man. Now what? Life changes sometimes for the better. It was suppose to be some innocent fun for Rin. Kagome would soon realize that giving rin the bag goodies soon became one of the best things she had ever done. In reply to the Torture Sesshoumaru challenge. It appeared like any other day, but Kagome knew better. * It’s Halloween, the day of the dead. And the dead do rise. 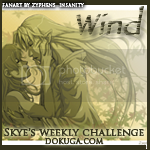 * This fic was inspired and done for the Dokuga Halloween Challenge! The group has a run in with Kikyou, but somethings off. Zombies anyone? Inuyasha: Zombie Apocalyse. Enjoy! Written for Dokuga's Halloween contest. It all started with a innocent gift. Done for Saholia\'s \'Hidden\' Challenge. Their quest has come to a end and all that is left is to wish on the jewel. But what will become of the Miko and Daiyoukai who just found love with one another? Done for Skye's Weekly Challenge. 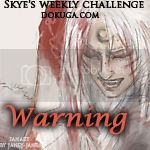 Prompt: Warning. Old fic I found in my backed up files. One of many. Going for a ride. In a season known for death and cold a warmth is found in the form of a little miko. Thanks for the review. I am glad that you love it. Thank you for your lovely review on my story The Treasure Within It's much appreciated! thanks for the ego strokes ? Thanks for reviewing While You Still Think You Know Everything. I'm glad you enjoyed it. Thank you so much for your birthday wish and your review for Birds of a Feather! I'm really glad that you're enjoying the story so far! I don't think anyone's tried to write a story with Naraku having a mate before, especially not one that's a dark priestess. So I hope that's a new idea... lol I'll try to keep things entertaining. I'm really love it and it very original. And I would too,-.- poor kid.